Freshly Painted. Don't let the summer heat get you down. With the 4.14kW Solar panels, you can enjoy central air conditioning without breaking the bank. This Arlington Heights multi-level features 3 bedrooms and 2 baths. The living room, dining room and the bedrooms all have hardwood floors. The kitchen with breakfast bar is open to the dining room. The sliders in the dining room lead to a private sun room. The lower level family room is complete with fireplace and wet bar. When the weather turns cold, the wood stove insert in the living room fireplace will make for cozy entertaining. 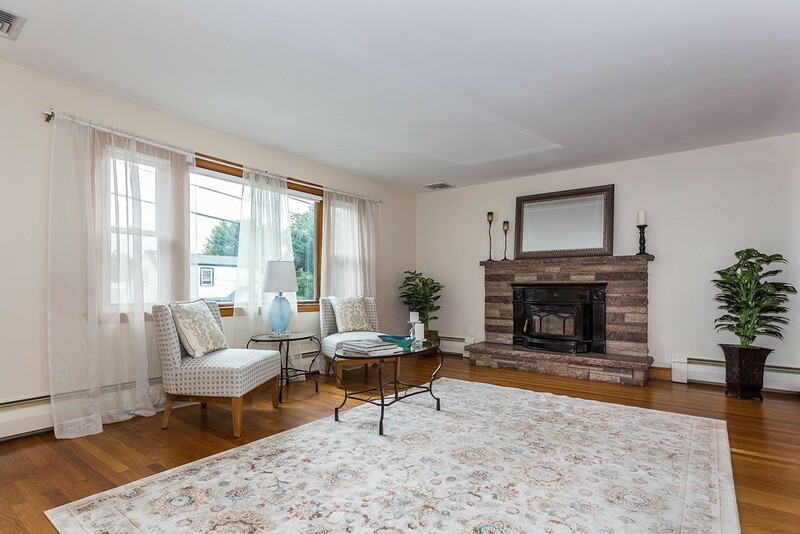 Conveniently located with the bus stop is at the end of the street and an easy commute to Rte 2. Just .2 mile to MA-France and .3 mile to Trader Joe's.